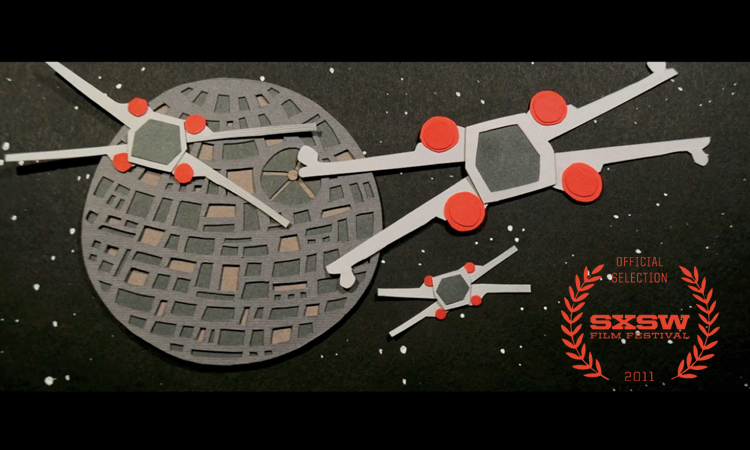 I am pleased to announce my paper animated music video for Jeremy Messersmith's song 'Tatooine' has been selected to screen at the SXSW Film Festival 2011!!! I am super excited and can't wait to see some great films and show off my video. If you are in Austin during SXSW you should come and check out my film, I've got a feeling it's gonna look awesome on the big screen!! The schedule will be up soon. Spread the word!